The Target Saver: Target: Print Now! Axe Shampoo & Caress Body Wash, Only $0.44! Target: Print Now! Axe Shampoo & Caress Body Wash, Only $0.44! 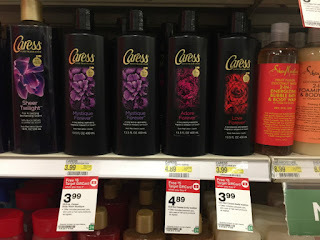 There is a promotion on Axe and Caress personal care products at Target. Buy four and receive a $5.00 Target gift card. Combine the promotion with Cartwheel offers and a new $2.00 printable manufacturer coupon. Pay just $0.44 each when you buy four bottles!